Get the tissues handy. 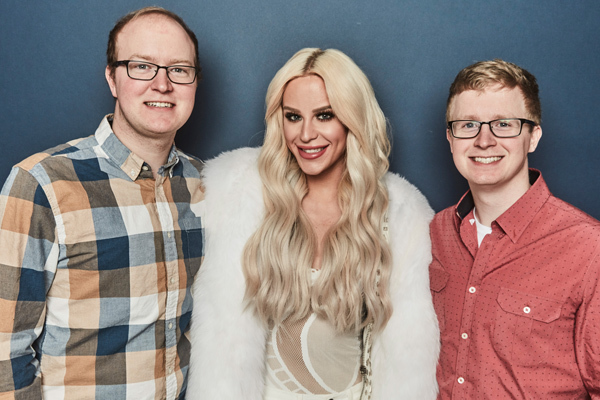 The upcoming Gigi Gorgeous documentary will give you all the feels, and you NEED to watch it. Over the weekend, the highly-anticipated YouTube movie made its Sundance Film Festival debut and it was very well received. This Is Everything: Gigi Gorgeous, is the documentary project from YouTube Red and we really can’t wait to see it. On Sunday, Gigi Gorgeous (whose real name is Giselle Lazzarato) attended the premiere for her new film, the same day the first trailer finally hit. This Is Everything is from the Oscar-winning director, Barbara Kopple and follows the childhood and online fame of YouTube star and transwoman, Gigi Gorgeous. Now that we’ve seen the trailer, we know the documentary is going to be a tear-jerker and leave us in a puddle of emotions…in a good way. The trailer shows a lot of home footage of Giselle’s home life, including interviews with her family and clips from her YouTube channel. Her journey as a transgender woman, coming out and transitioning is inspiring. The Lazzarato family proves that together you can accomplish anything and that love does win. Throughout the clip, we also see the serious negatives that came with Gigi Gorgeous’ road to finding herself. It’s very rough and yet touching. "My camera became my therapist and YouTube became my diary, where I would post everything," she says in the trailer and it's so true. This Is Everything will hit theaters on February 3rd (in select areas) and be on the subscription service on February 8th.